Welcome to this week's Sizzle into Summer party. Last week's party was filled with so many great ideas and inspiration. 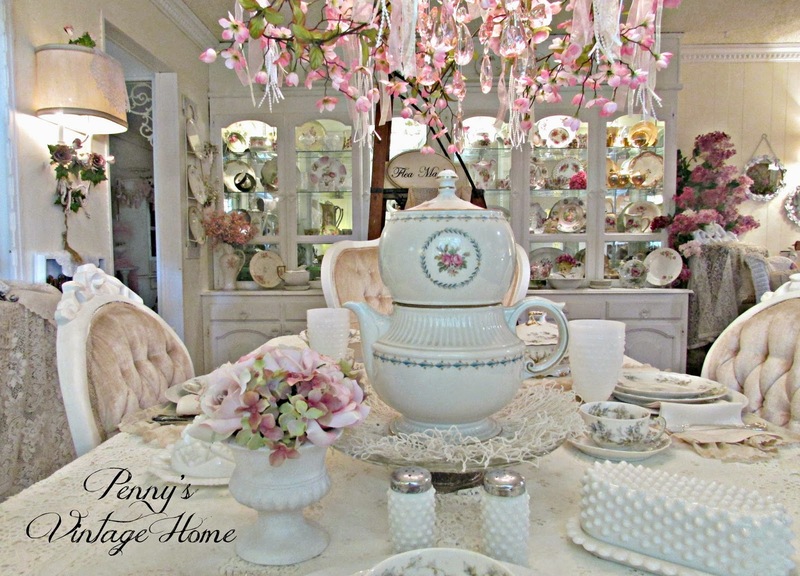 Penny's Vintage Home created this gorgeous tables cape using new dishes she picked up at auction for $5 total for 43 pieces!! 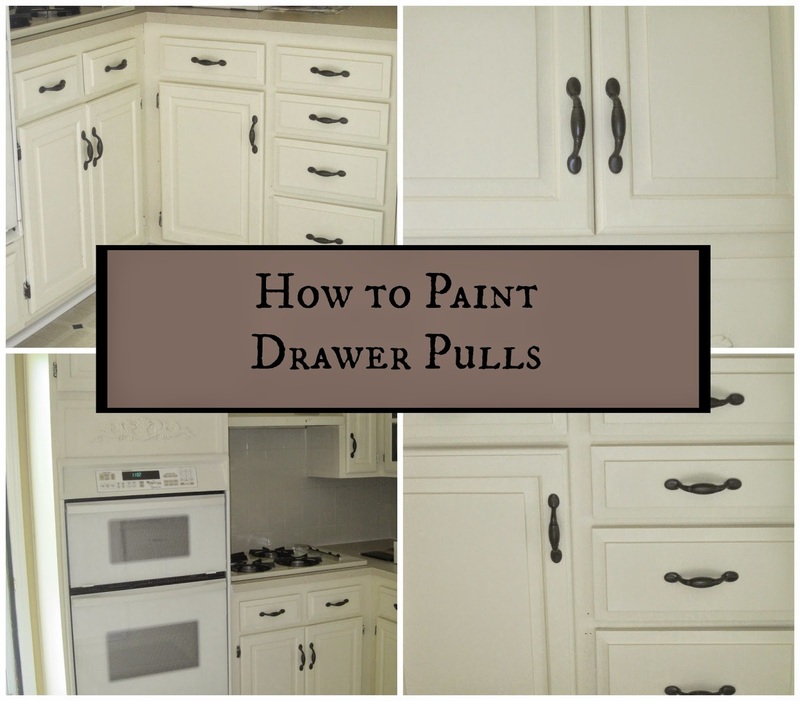 Decorated Chaos updated her kitchen on a budget by painting out the drawer pulls. She gives a great tutorial. Be sure to stop by. 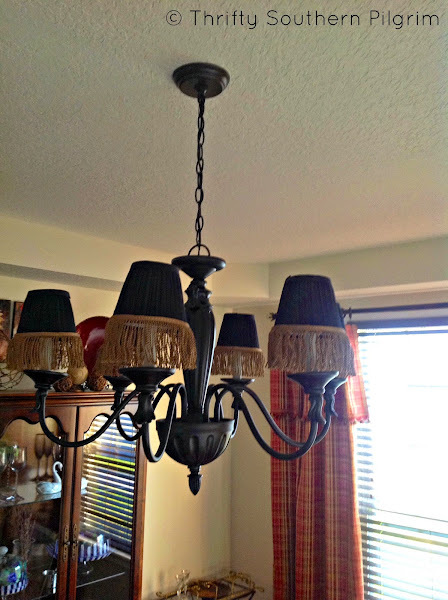 Thrifty Southern Pilgrim transformed a chandelier she bought from Habitat for Humanity into this beauty. It's a dramatic before and after. 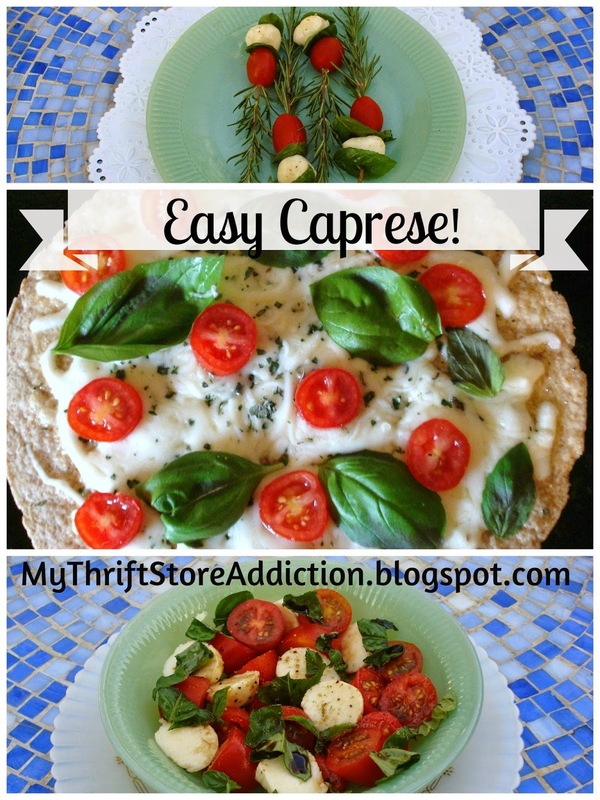 My Thrift Store Addiction shared three variations of caprese - all look delicious! Calypso in the Country shared photos from a designer show house she visited. What a great source for ideas. 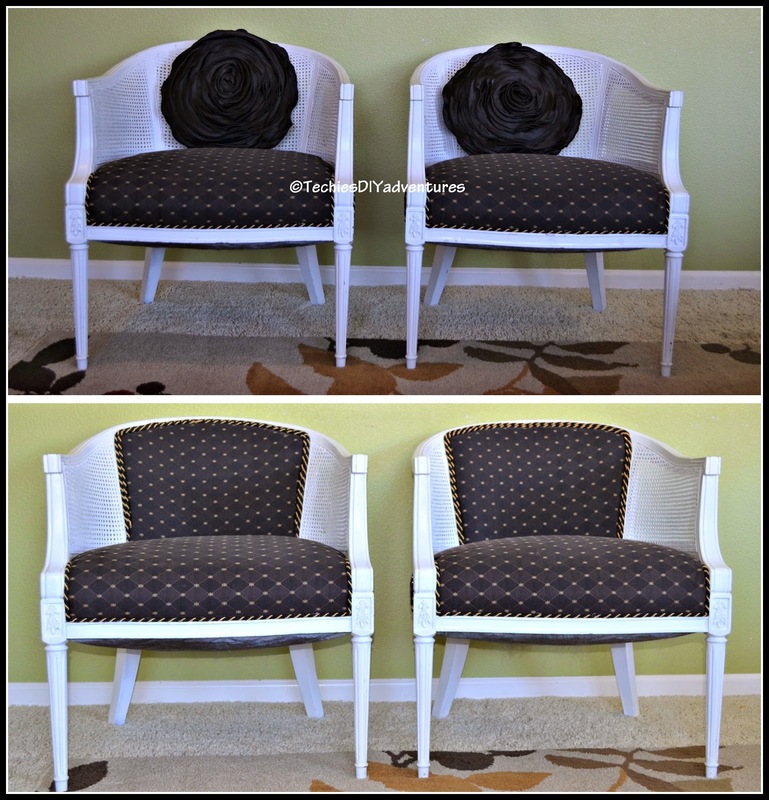 Techie's DIY Adventures shows how she dealt with a damaged cane back chair and reupholstered the back instead. Great tutorial. 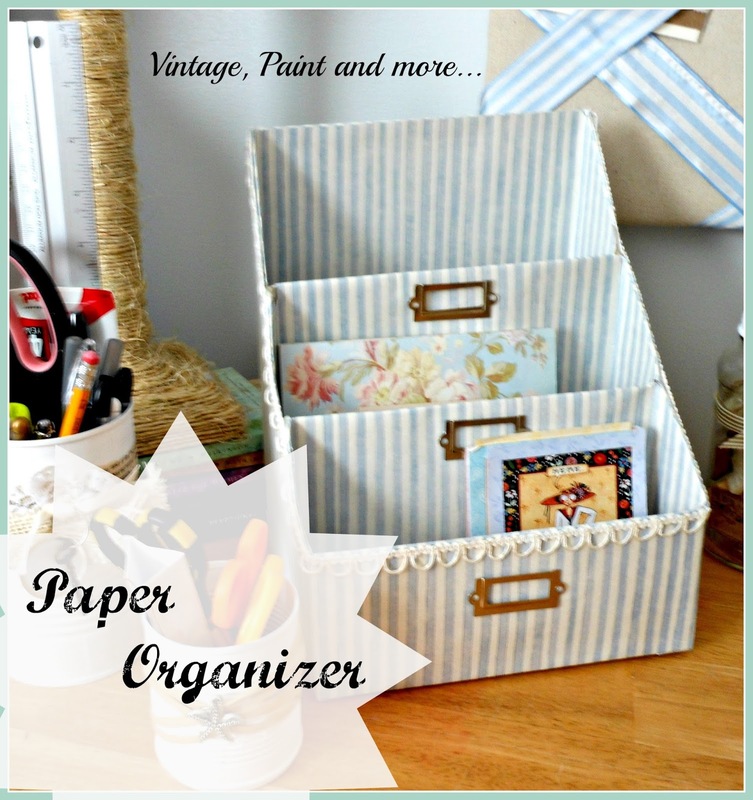 Vintage, Paint and more created this super cute paper organizer out of cereal boxes. What a great idea! Butter & Jam shared her recipe for healthy banana walnut muffins that are sugar, dairy and egg free!! Totally Lauren Amber revealed the changes she made to her living room. Love the color combination. CD's Country Living shared how she transformed her dining room table and created this stunning piece that looks like driftwood. 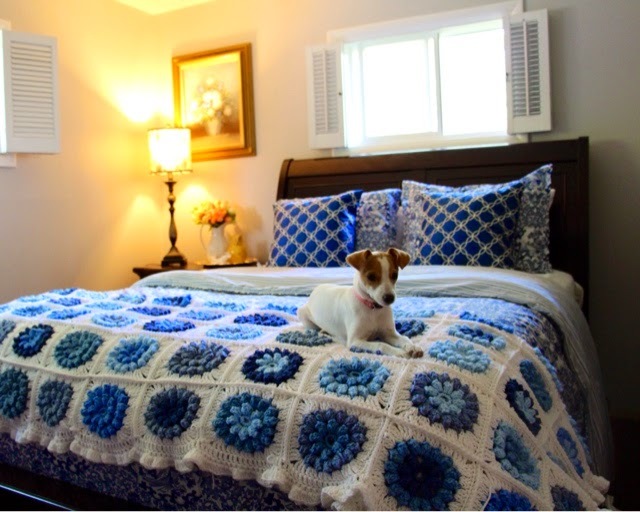 Priscillas shared the gorgeous blue puffy flower blanket she made for her daughter. What a beautiful job she did. 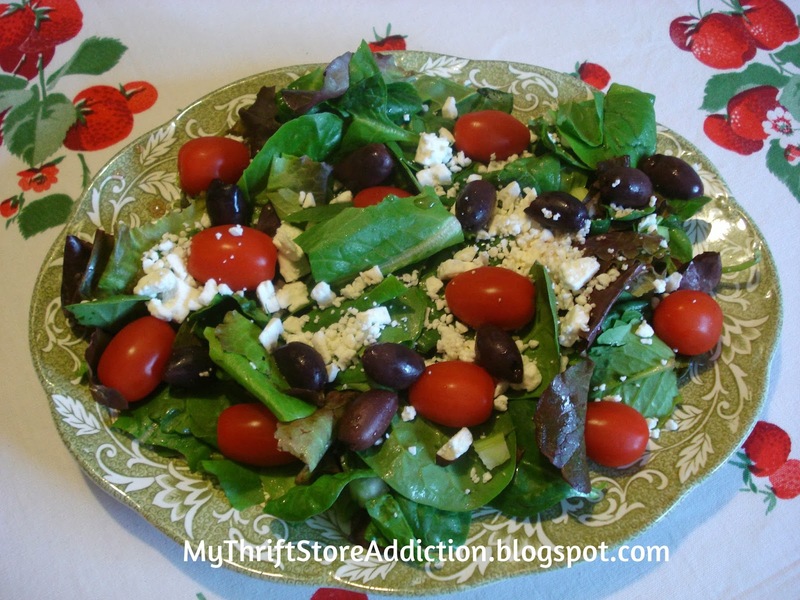 My Thrift Store Addiction shared her recipe for secret garden greek salad. Perfect for a summer meal. I was invited to participate in a blog tour and want to say a big thank you to Rhonda from Restored Treasures Too for the invite. I love how she created visual interest in the ceiling with baskets and faux beams. I love her master bedroom as well. 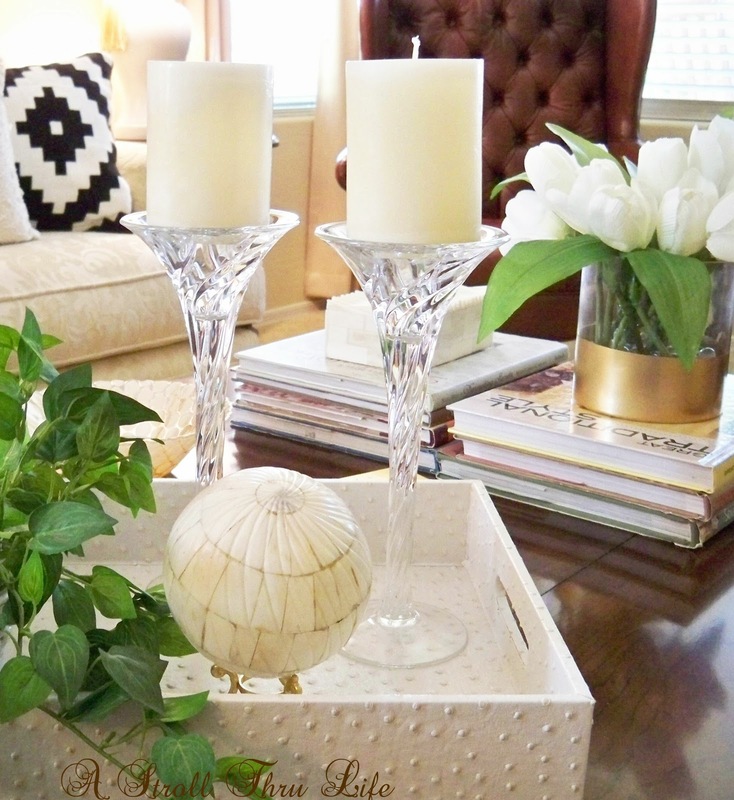 She mixes furniture and flea market finds beautifully. I love her rustic, farmhouse style and how she mixes traditional elements with old barn house type furniture. It creates a beautiful effect. Be sure to stop by Restored Treasures Too to check out more of her beautiful home. 1. What are you working on right now? Right now I am taking some time to enjoy the summer and the home we have worked so hard to create. So often I jump from project to project and never actually sit back and enjoy the things we have created. ...especially the pizza oven and outdoor kitchen have gotten plenty of use this summer. Come fall my plan is to work on indoor spaces including a makeover to our foyer staircase. 2. How does my work differ from others in this genre? I think my style of decorating would be defined as traditional, however the way it differs from others is so much of what is in my home I have personally created. I self-taught myself to sew and crochet and enjoy crafting very much. 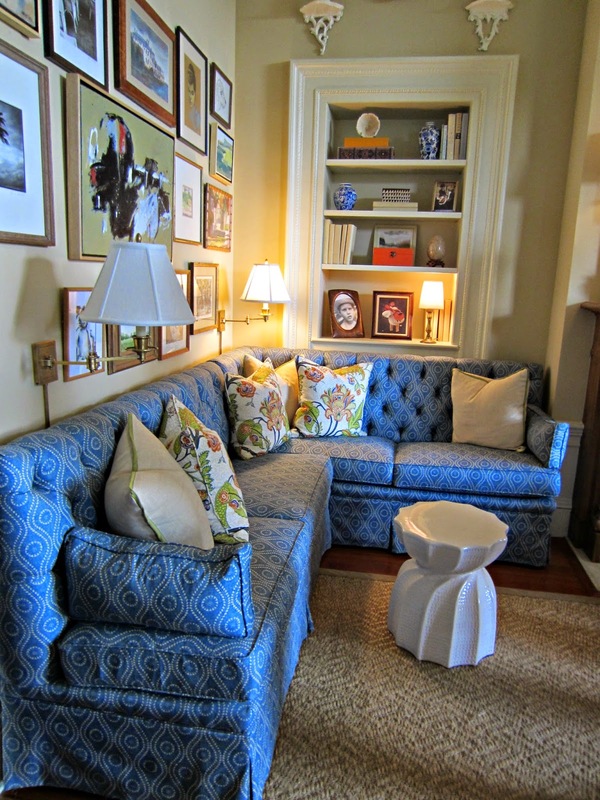 I am not afraid of a challenge and have even reupholstered several pieces of furniture on my own. 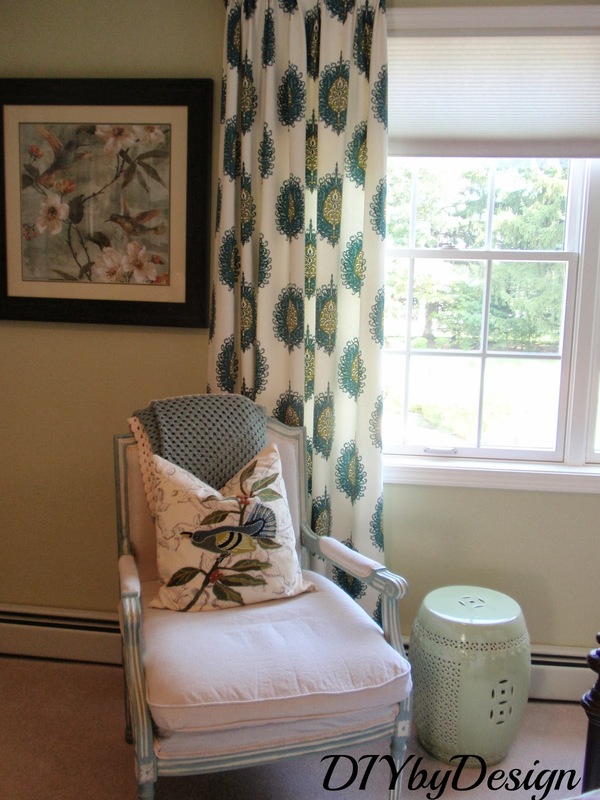 I sewed these drapes in my guest room and reupholstered a chair I found on Craigslist. 3. Why do I write/create who I do? I started this blog because my kids were in a tennis academy that was a 40 minute drive each way. They played three hours a night and it was too far to come home and I didn't want to go and shop each night and so a blog was born. Blogging was an easy transition, because I was already doing all of these projects...now I just was writing about it. This past year they moved to an academy that is a ten minute drive away and blogging has become more difficult now that I am not "stuck" somewhere for three hours a night. 4. How does my creating process work? I find inspiration everywhere. I still love thumbing through magazines, but also love Pinterest and Houzz. I think the best inspiration comes from fellow bloggers. They tend to give lots of details when they do a project which helps when you try to recreate it. I have always been creative. I grew up in a neighborhood where no one went to camp. Instead we created our own fun with other kids on the street day in and day out during the summer. At ten years old I built a club house using wood (and an entire box of nails) and a metal pool liner someone was throwing away as the roof. Wow was it hot in that club house with a metal roof. Hope you enjoyed learning a little more about me. My friend Marty from A Stroll Thru Life is so talented when it comes to accessorizing. She always creates the best vignettes. 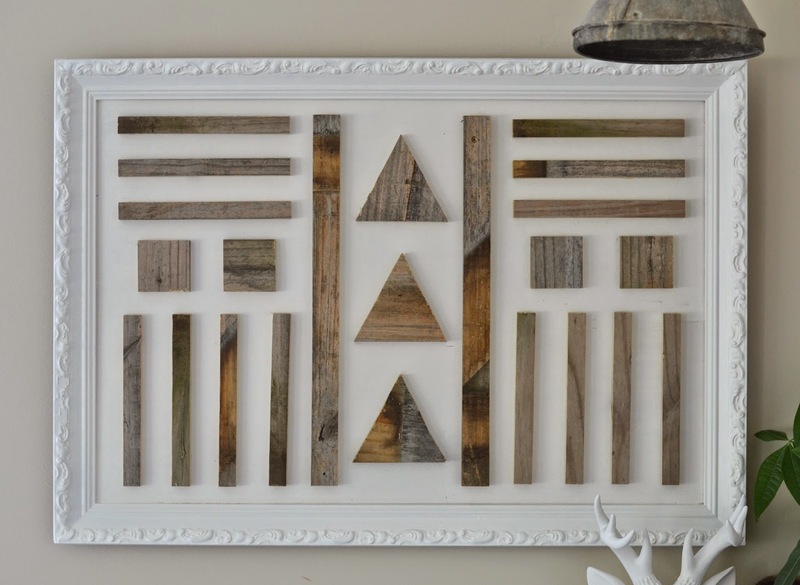 Shabby Love created this one of a kind DIY art piece using reclaimed wood. Such a cool idea! 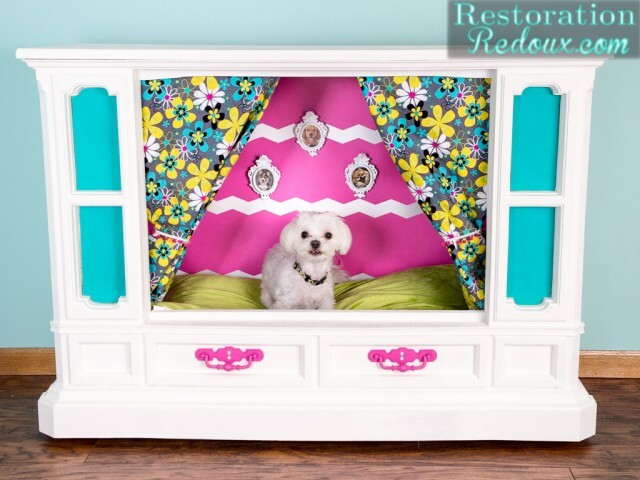 Restoration Redoux transformed an old tube TV cabinet into this super cool dog house. What a clever transformation. 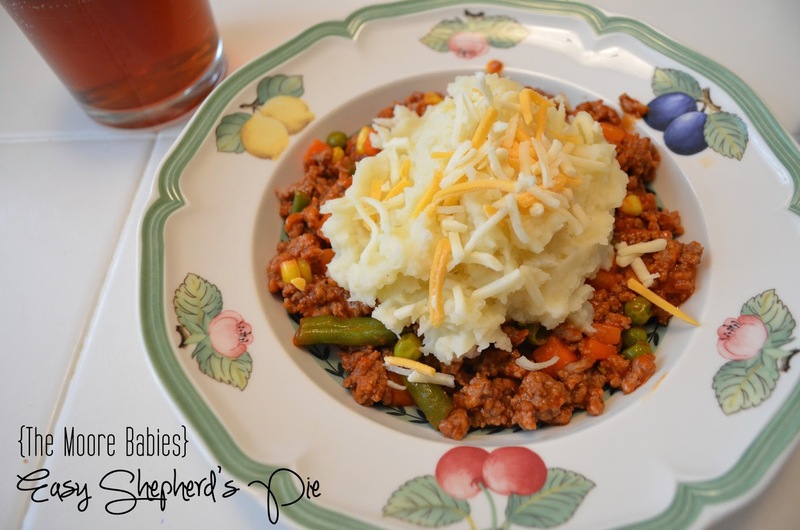 The Moore Babies shared their recipe for easy shepherd's pie.